At State Roofing, we are your premier local roofing contractor for professional roofing and decking services. Throughout the years, we have been awarded with numerous recognitions from different award-giving bodies – all recognizing us for our high-quality services. In this post, you’ll get insight into some of the awards our company has accrued throughout the years, and how this benefits you as our customers. Last year, our roofing company was recognized and awarded by the Washington Family Business Awards as the number one remodeler. This recognition is awarded to companies that set the standard for excellence and success, and are focused on providing consistent and quality services for their customers. Back in 2008, we won three awards from three individual award-giving bodies. We were recognized as the number one company by the Professional Remodeler Market Leaders and ranked #36 in the entire nation as a Qualified Remodeler. Our “The Happy Roofer” also won the coveted Davey Award in the same year. Last year’s award continues to inspire us to continue offering our customers the best roofing and decking services their home deserves. The award is essentially our guarantee that we’ll always deliver a job well done when you work with us. 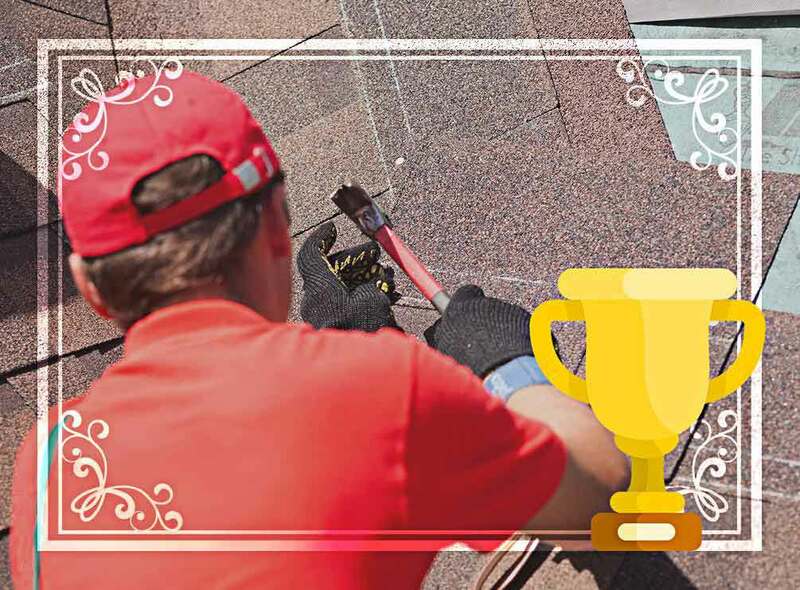 When you work with our team for your roofing projects, we make sure that your new roof meets three objectives: design, functionality and longevity. Our company understands that your roof is probably the most expensive part of your home. That’s why we always focus on providing you quality products and workmanship backed by some of the strongest roofing warranties in the industry. State Roofing is the name you can trust for professional roofing services. Call us today at (800) 810-7305 to learn more about how we can help you with your home. We are a roofing company serving homeowners throughout Tacoma and Kirkland, WA.